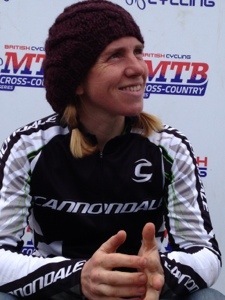 Sally Bingham (Topeak Racing) took the win leaving the rest of us including travelling Serbian and Spanish riders chasing. A hard, technical course. A real mountain bikers dream. Thanks to the race organisers Maddy and Jay at Fully Sussed for putting on such a great event. Here’s hoping that counts as a qualifier for the Commonwealth Games. Fingers crossed.